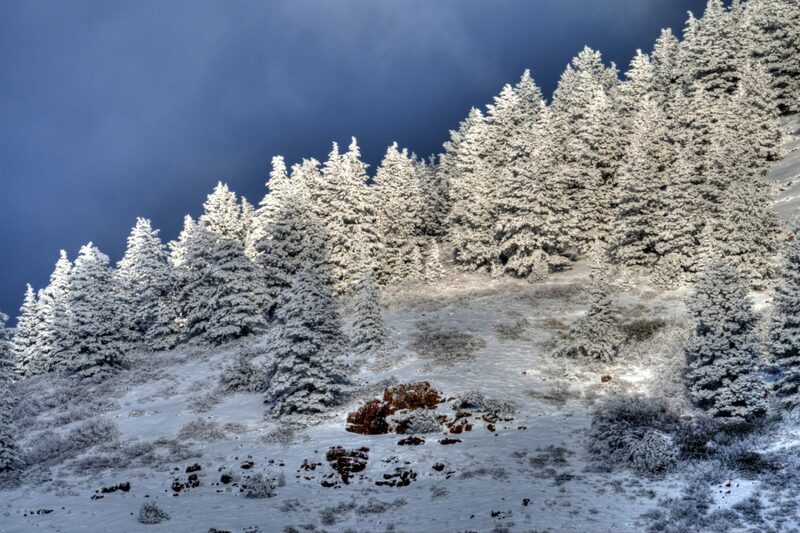 Fresh snow blankets the landscape as the powdered covered pines of Southeast Idaho touch the sky. Shot with Nikon D500 and Tamron 150mm-600mm lens. Shot @ 500mm and tone mapped with Photomatix.